Now I wonder where the influence came from? 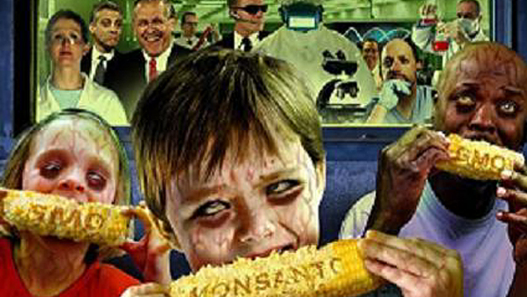 Your GMO Diet Has Been Approved by Michelle Obama? Monday, Oct. 8, 2012 | 12:24 a.m. The Supreme Court is agreeing to hear a dispute between a soybean farmer and Monsanto Co. over the company’s efforts to limit farmer’s use of its patented, genetically engineered Roundup Ready seeds. The justices say they will hear an appeal from Indiana farmer Vernon Hugh Bowman, who is trying to fend off Monsanto’s lawsuit claiming Bowman made unauthorized use of the seeds. Well only someone with a vested interest in the Monsanto bottom line would stand in the way of making sure the public is both protected and informed about GMO foods. Monsanto is also only an FDA approval away from its latest monstrosity — soybeans that have been genetically modified to produce omega-3 fats. That FDA approval is expected this year.